Chuckit Mega is a ball launcher for large dogs. 3" ball compatible. 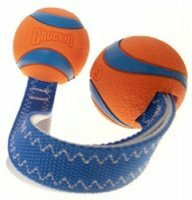 Chuckit are a great way to exercise your dog without wearing out your arm. You can throw the ball easily and further than ever before, with no need to stoop too far down to pick up the ball or get dog slobber on your hands. 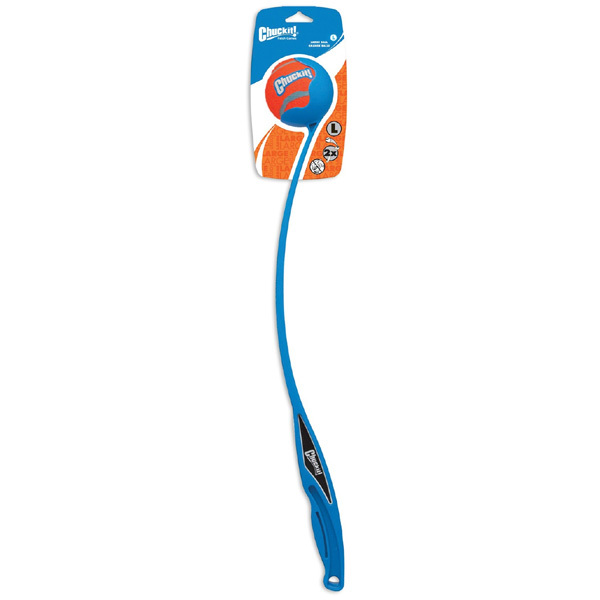 Use it in the park, in your backyard, or anywhere you and your dog fancy a game of fetch, but you will throw further than ever before so a certain amount of space is needed. Designed for hands-free pickup, so you never have to bend down as far or pick up a slimy ball again. The largest of the Chuckit dog ball throwers, Mega holds large 3 inch balls. For large dogs only. 25 inches long. Made of lightweight, durable plastic. The Chuckit Mega takes large 3" dog balls. Click here for our selection of dog balls. Brilliant! Can launch the XL ball a fair way with this. Very handy when you’ve got a very large and very energetic dog!